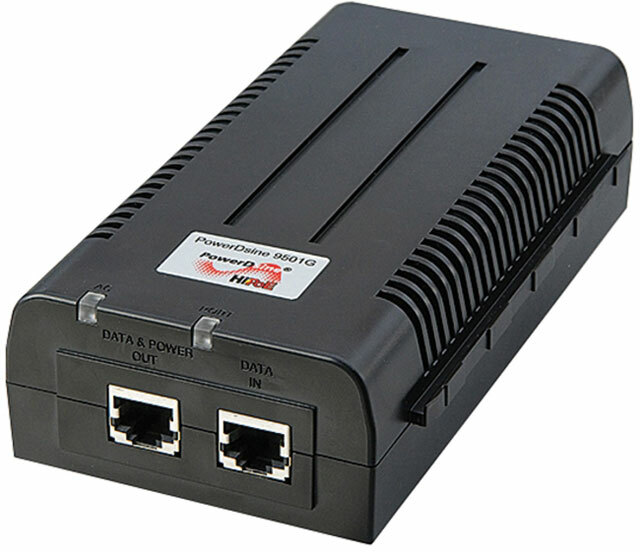 The PowerDsine 9501G is a single port, high-power solution for remote powering of current and emerging high power applications. Generating a maximum of 60W, the 9501G enables remote power for a new range of applications including pan-tilt-zoom (PTZ) cameras, video-phones and thinclients. It complies to IEEE 802.3af/at PoE standard parameters, while doubling the available power. It can power both existing 10/100Base-T network devices and such emerging wireless gigabit devices as Wi-MAX and remote distance wireless IEEE 802.11n access points.